How has regular exercise affected your life? It has made me feel healthier and more confident. What do you suggest to those who are just taking up a sport or starting to exercise? What are the first three things that come to mind when you hear the word “sports”? Which Bilkent sports facilities (Sports Halls, playing fields, tennis courts, etc.) do you use? Have you taken any courses or participated in any activities? 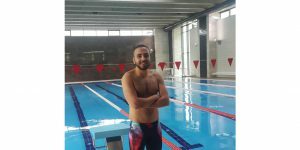 I’m on the Bilkent swim team, so I generally use the pool. I’ve participated in the swim festivals and in tournaments with my team. I’m proud to be a part of this team.